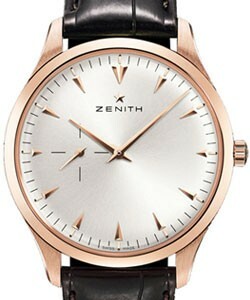 This watch is also known as: 03052068301c492 , 03.0520.683 , 03-0520-683-01-C492 . 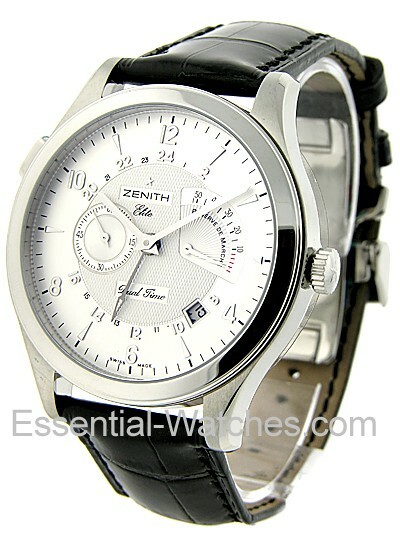 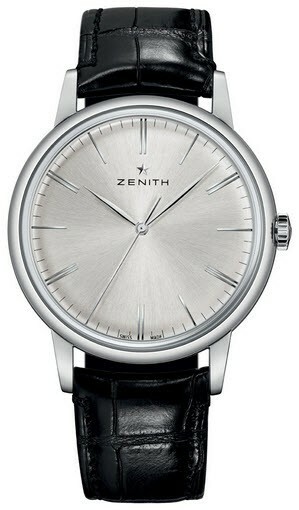 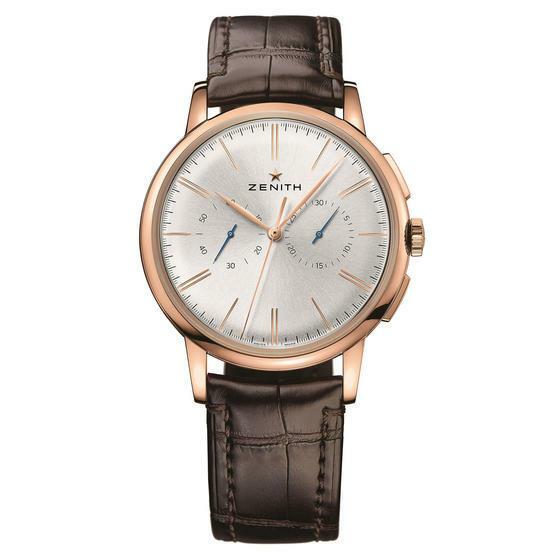 Zenith Grande Class RDM & Dual Time Men's Wristwatch. 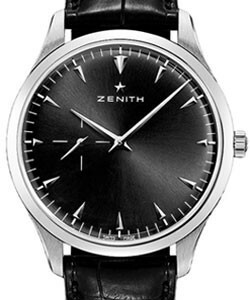 This timeless and standard design watch Zenith Grande Class RDM & Dual Time Ref No:03.0520.683/01.c492(03052068301c492) features a Stainless Steel Case, Black Crocodile Leather Strap with Steel Deployment Buckle, Silver Guilloche (textured) Dial, Steel applied Arabic & Index hour markers & hands. 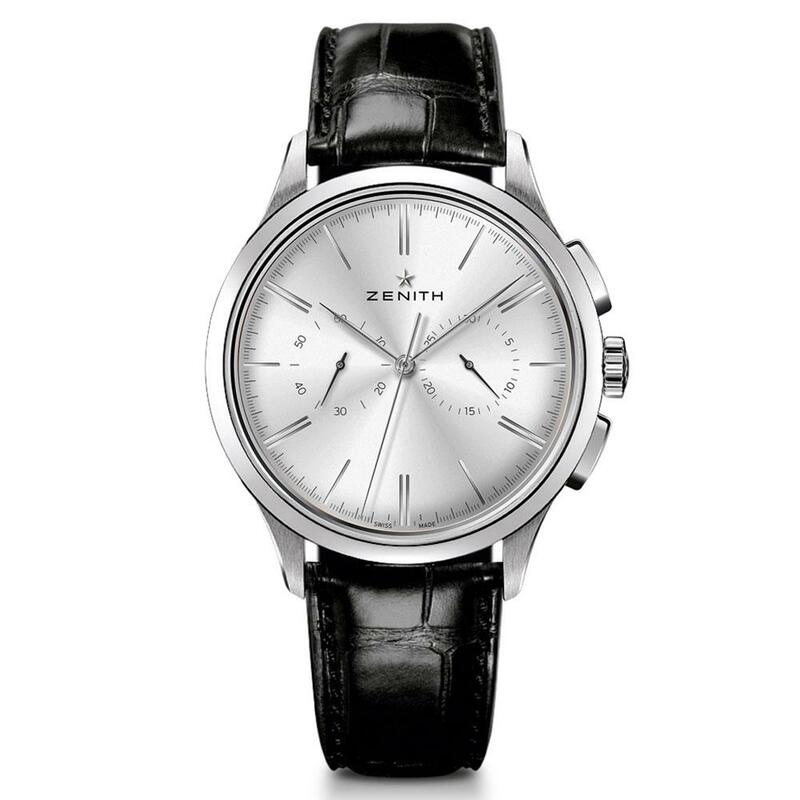 Automatic Movement, date displayed between 4 & 5 o'clock position, Small Seconds Sub-Dial at 9 o'clock, Reserve de Marche - Power Reserve indicator (aprox. 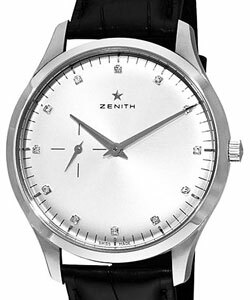 50 hours), 2nd/24-Hour Time Zone Indicated by the Arrow Head Hand, with quick adjustment button located at 10 o'clock.Water Resistant to 30m/100ft. 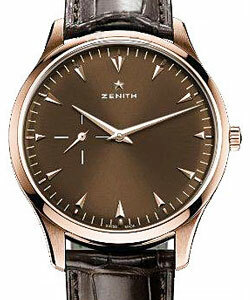 The Zenith Grande Class RDM & Dual Time is a highly recognizable timepiece with a very strong personality.